Before I dive in, I will preface everything I say with I HATE THE SUBLIMATED LACES!!! I don't care what jersey you put them on, they are terrible. 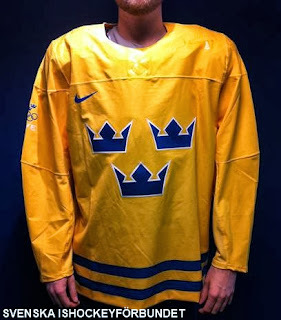 Also remember that in international hockey one jersey doesn't necessarily represent a home or away jersey. 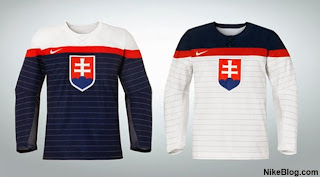 The home team gets first pick as to what jersey they would like to wear for that game. 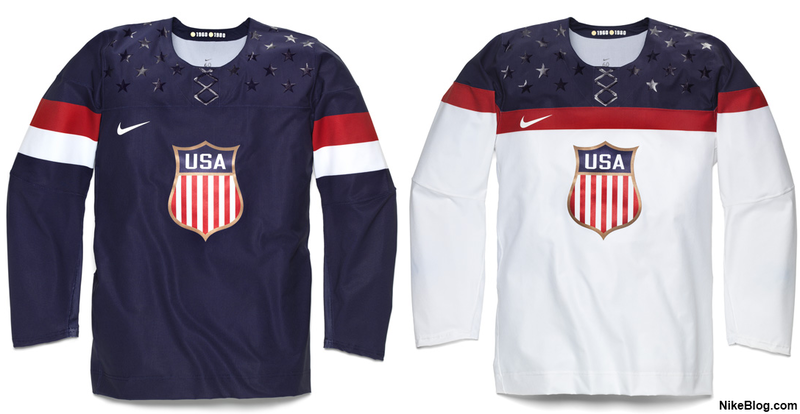 Ryan, I agree with you on most of these sweaters done by NIKE ... 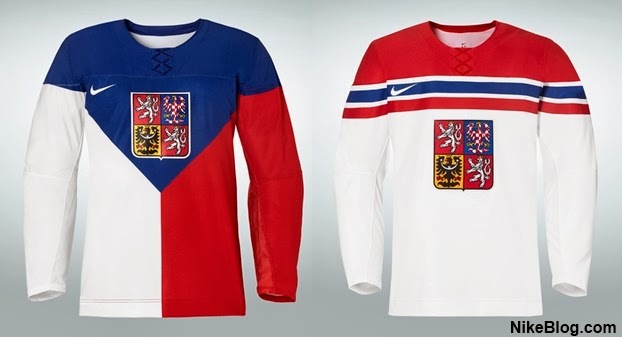 I do like Russia's white sweater as an idea, it need some work .... I would insert some gold details into the wings, like the ones on yoke and made bottom of the sleeves in blue below the wings. Now on your idea for United States - I do not like sublimated stars at all and no American ever will. 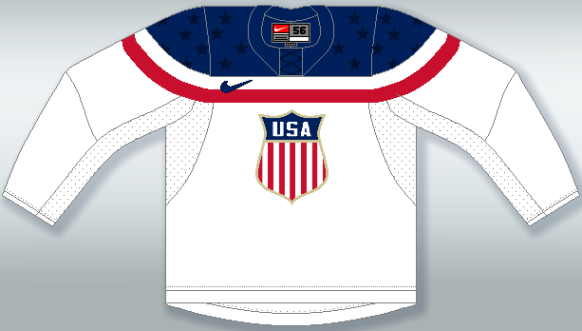 Also, the whole sweater below yoke looks bland - perhaps, continue with red/white stripe pattern would do a whole lot better. I do like your choice of that blue versus that ugly dirty navy by NIKE. Crest could have been different - not that Union Pacific rail road sign. An arched " USA " would do just fine. 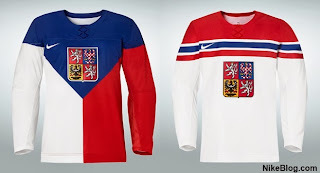 I think that Russia was the best made by NIKE.